Chhattisgarh is one of the largest states in India. Rajpur is the capital and educational hub of Chhattisgarh. Colleges in Chhattisgarh offer undergraduate, postgraduate, Ph.D, M.Phil and diploma courses in various fields like Commerce, Engineering and Technology, Management and entrepreneurship, Science, Humanities, Pharmacy, architecture, Ecology and environment, Medical science, Natural science, Law, dance, music, journalism, mass communication, applied sciences and other courses. The professional courses offered by the colleges in Chhattisgarh are B.Arch, MBBS, Bachelor of Veterinary science & animal husbandry ( B.V.Sc & A.H), LLB, LLM, Diploma in mass Communication and so on.. Most of the colleges in Chhattisgarh are affiliated to the any one government universities such as Chattisgarh Swami Vivekanand Technical University, Guru Ghasidas University, hidayathullah National Law University, Indira Gandhi Agricultural University, Indira kala Sangeet University, Kushabau Thakre Patrakarita Avam Jansanchar University and Pandit Ravishankar Shukla University. Most of the colleges in Chhattisgarh are approved by AICTE while the Law Colleges are BCI approved. 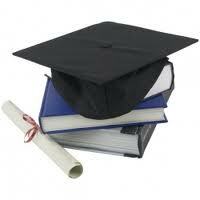 In addition to regular courses Colleges in Chhattisgarh also offer distance learning programs. Most of the Colleges in Chhattisgarh provide campus facility to the students and also have active placement cells which help student in getting good job in a reputed company. "Following is the list of colleges in Chhattisgarh. All Colleges in Chhattisgarh are divided into region wise. To view colleges in a particular region kindly select the region from the drop down list. The number of colleges in any particular region is mentioned in front of the link. If you come across any college in Chhattisgarh which is not found from our list below, please do let us know by using add in list which is default in our website�.